It’s that time of the year! Time to clean and organize your home! Have you started yet?? 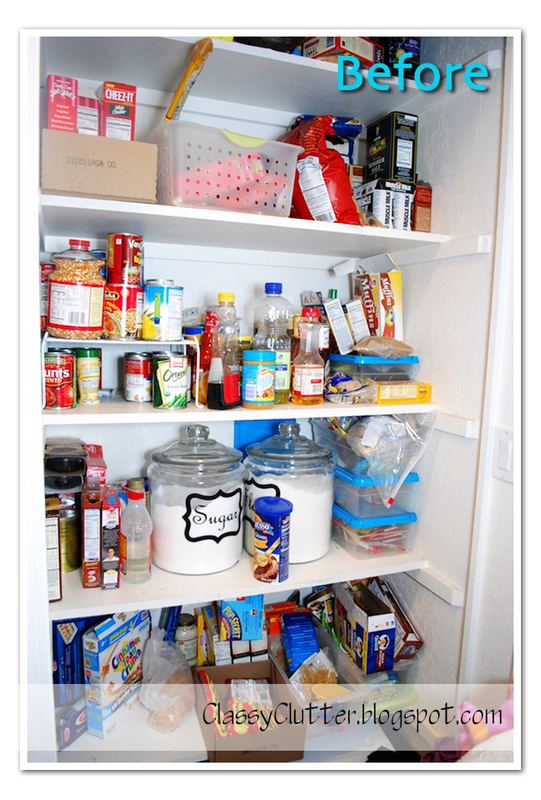 I just got done with my pantry organization! Now time to stock up on Spring and Summer favorites! That means water bottles and otter pops here in AZ! I organized my pantry! Mallory used the Silhouette to make some nifty little Flour and Sugar labels! We LOVE labels! I used jars, bins and locker style boxes to separate everything! I also got these great little cereal dispensers from my Mom! Aren’t they cute!? 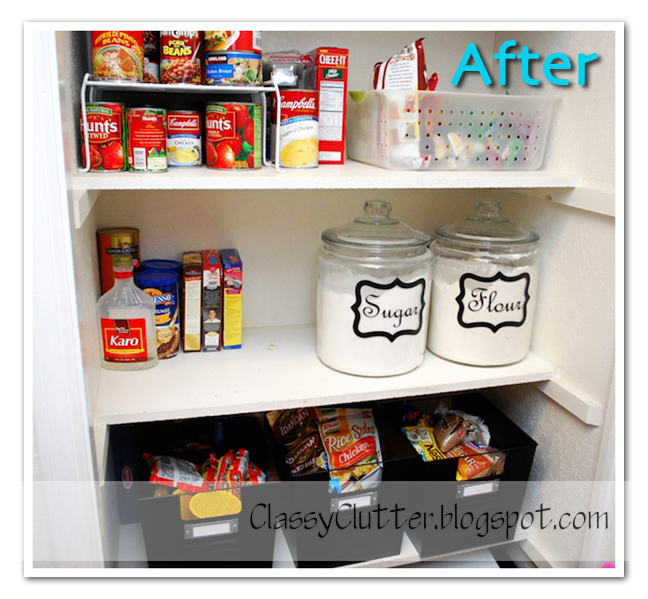 Send us your organization projects if you’d like to be featured on Classy Clutter! We’d love to see what you’ve been up to!